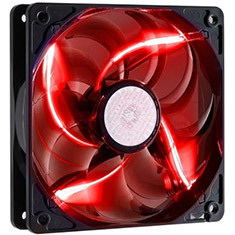 The Cooler Master SickleFlow X introduces new features to the 120mm cooling fan series. Thanks to the 4th generation bearing and POM material, the life expectancy is pushed up to an incredible 160,000 hours. Smart fan engine design prevents the damage and provides great cooling performance with maximum 2000 RPM fan speed.